Members of experiential learning group DF9 (Directors Forum 9) were very surprised to find themselves sharing 2 days with 4 horses – working outside in a round pen! Several of them were well outside their comfort zones. Immediately they saw the horses, their heart rate went up. The initial task was to learn how to lead a horse around the round pen without a head collar or lead rein, i.e. the horse is completely at liberty and it is up to the leader to form a rapport with the horse, where the horse chooses to follow and to be led. If only our colleagues at work would be so helpful and supportive! As Group Chairman, I had chosen not to tell them in advance what the main theme for our two day mid-year review would be… but we were working on “Connected Leadership” whilst reviewing the members’ progress towards their goals and plans for the year. Being empathetic, and how communication and relationships are enhanced when you can appreciate someone else’s perspective. Being consistent in your behaviour so that people want to be involved with you. Who would have believed that these four gracious creatures would be the source of such deep learning that will linger a long time as we go back to our offices and tackle our daily tasks, now with renewed vigour and insight abut our own leadership styles. Will we ‘pushing’ or ‘pulling’ our team and colleagues and what sort of changes will they notice in our behaviour as we lead them towards our strategic goals? Now who shall I choose to follow today? 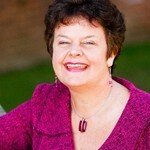 Joanna Jesson jointly chairs Directors Forum 9 and Academy Group 42 with Phil Jesson. She also co-runs management consultancy Business Pulse, which specialises in coaching, leadership, team-building and culture change. As a Chairman with The Academy for Chief Executives, she enables members to translate the monthly Academy sessions into quantifiable value by concentrating on the actions that they, and others within their organisation, need to take. To find out more about membership of these groups visit www.chiefexecutive.com/academygroup42. 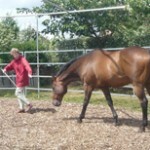 To find out more about Lisa Brice and her “Horses for Courses®”, visit www.horsesforcourses.uk.com. The Academy community provides a great place to build your leadership skills and learn more about motivating and developing your people, and how to focus the top team for the good of your company. As the leading providers of experiential learning, the purpose of the Academy is to inspire leaders to achieve their dreams by sharing and learning from real life experiences. Find out more at www.chiefexecutive.com. Posted in: Business, CEOs, Communication, Leadership, leadership mentoring, MDs, peer group support, senior executives.